Not all fabrics are created equal. Choosing a fabric is one of the most important parts of buying contract furniture for a facility. The fabric you choose impacts several different things, including the overall look, feel, and capabilities of your furniture. Selecting a specific fabric style depends on what you want out of your furniture. Certain fabrics feature bold colors or interesting designs. Other types of fabric will be softer or more rugged than others. There are also fluid-proof and fluid-resistant fabrics designed to protect your furniture and make the clean-up process simpler. 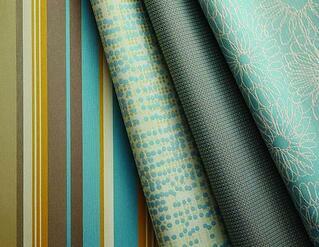 Crypton: A high performance health-care grade fabric featuring fun, intriguing patterns and textures. Cryptons are fluid-resistant, stain-resistant, anti-microbial and anti-fungal. Stain & Soil: A resilient high-performance, treated fabric line designed for fluid-resistance, stain resistance and anti-robial and anti-bacterial resistance. 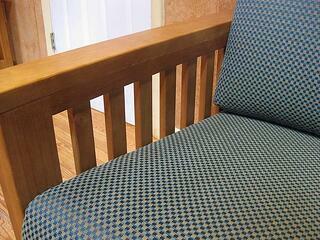 Finding the right contract furniture fabric can be an overwhelming process. It’s important to concentrate on specific properties that your facility needs the most. Some facilities require fluid-resistant fabrics. Others look for specific patterns. Focus on what you need and you can narrow down your search. As a contract furniture distributor, we can help you find the right contract furniture fabric styles for your organization. Browse through our furniture fabric gallery to see our available fabrics and their properties for yourself. If you have any questions or would like to see fabric swatches, contact Furniture Concepts online or give us a call at 800-969-4100 today.